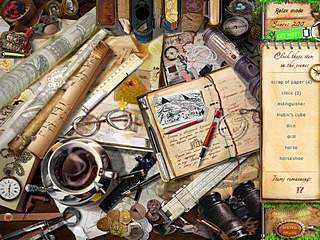 Another release in the hidden object games genre is out and according to same old tradition you are involved into a mystery, an expedition, and many puzzles. 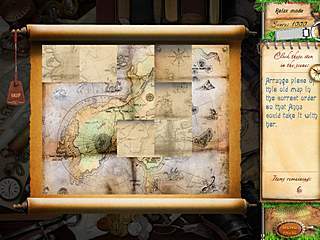 As you can get from the title you the mystery in Atlantis: Mysteries of Ancient Inventors is all about Atlantis. The girl you play as doesn't look at all like an archeologist, but you have to take their word for it. 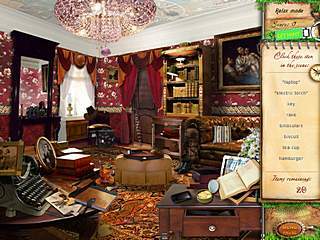 The story of the game is very typical to those in the genre of hidden object games. Your main character - young stunning girl - is an archeologist (in what universe do those two are mixed together?). During one of her expeditions she comes across a strange scroll, and now she is set to go and find out the secrets of Atlantis. Before this situation you are told the history of Atlantis in its really short version. The story suggests that Atlantis had the greatest library of those times with the answers to every question (I wonder if they had "42" among their answers). So now this young archeologist goes to her grandpa, who is a reknown researcher, for help on her journey. You are given a chance to choose between the two modes - Relaxed or Timed. The timed one is not crazy challenging, so if the difficulty level is generally an issue for you, it shouldn't be in this game. You are going to play many seek-and-find levels. The searching process goes as usual. You get a list of items to find and you do that with or without the help of hints, that recharge after a really little while. The items on the list appear as you find them. Some of them are in quotation marks which means that you need to connect two items to get that one. Though you will come across different kinds of searches as you proceed (like with silhouettes). Then there are different puzzles in between the searches. Those are not something you haven't seen before. The game generally is not that challenging, and even when you can't find something the hint recharges so quickly that it is never a problem. The graphics are not extraordinary, but still ok. Though the dialogues sometimes lack meaning. Atlantis: Mysteries of Ancient Inventors serves well as you we wait for another great release of this genre. This is Atlantis: Mysteries of Ancient Inventors review. Download this game here.